Ready for the laziest, easiest breakfast ever? 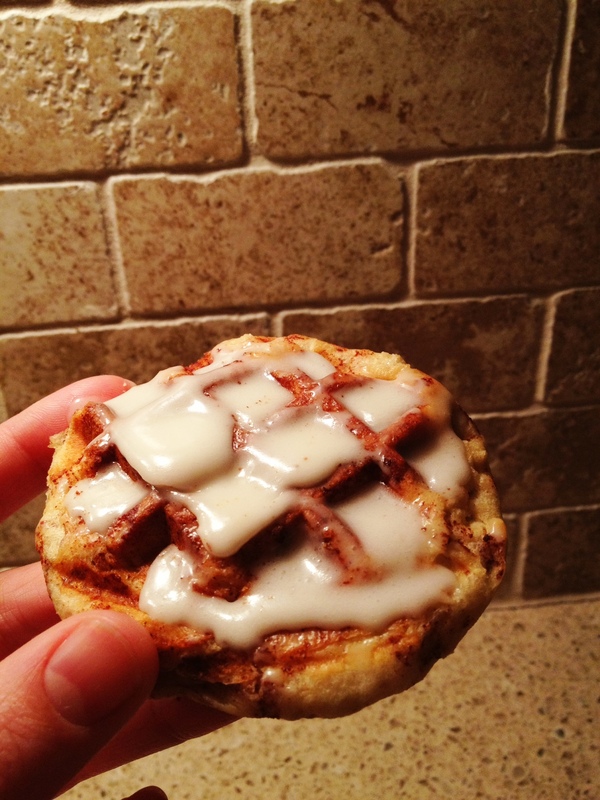 The most effort you will have to make with this is going to the store to buy a can of cinnamon rolls. Take Cinnamon Rolls out of can, separate rolls. Spray Iron with non-stick cooking spray. Put 1 roll (or even a half of roll, depending on your waffle iron) in each quadrant of waffle iron. Heat for 2-3 minutes until done. 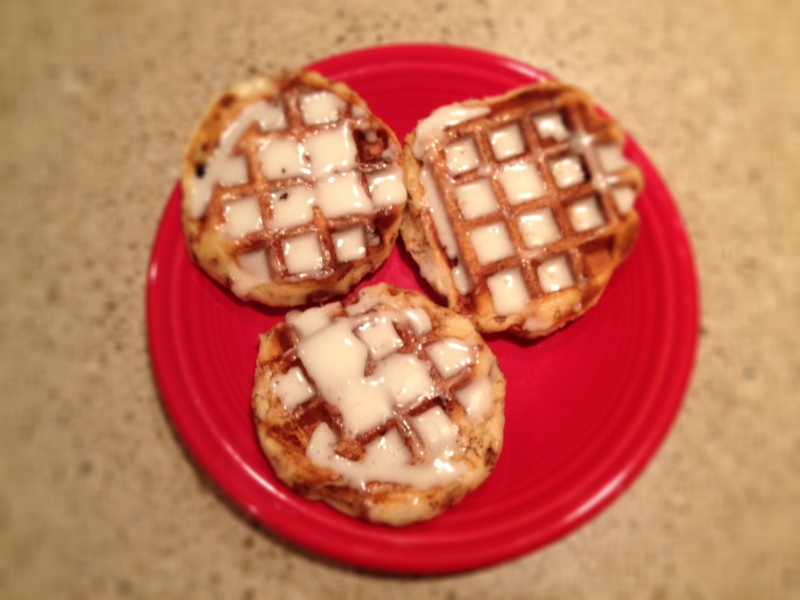 Spread hot waffles with provided frosting. Enjoy the easiest breakfast ever. Voila. A fun and easy breakfast in mere minutes! Full disclosure: I may have enjoyed these more the next day, microwaved for 10-15 seconds.